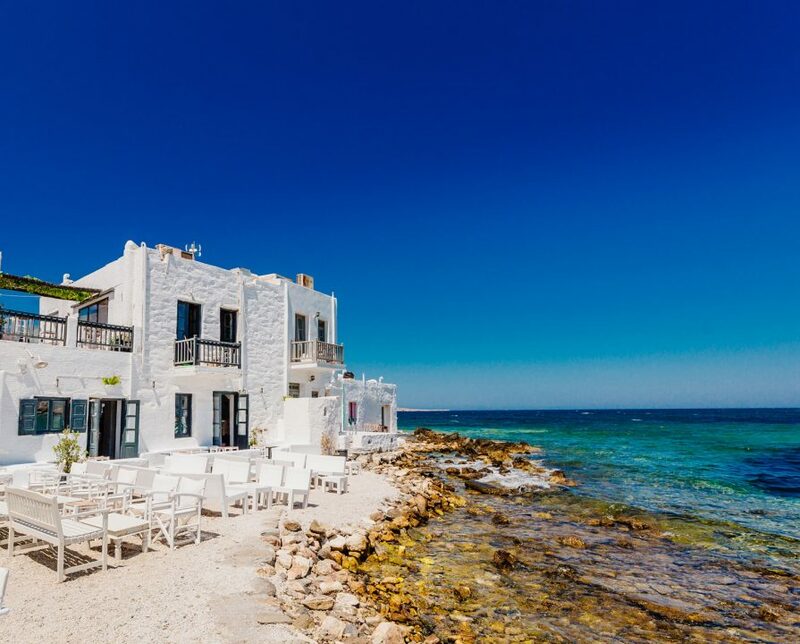 Starting from Platis Gialos, we head off towards Paros Island, a place of considerable history and tradition. Paros Island figures among the best summer destinations in the Cycladic Islands and combines in a unique and enviable way modern infrastructure with traditional architecture and authentic spirit; it is amongst the preferred holiday’s destination in Greece, attracting each year thousands of visitors and famous personalities. Santa Maria: Santa Maria is not just one, long beach. There are several smaller, sandy beaches and magic coves in this bay, making it ideal for tranquillity and diving. After a day full of excitement and new experiences, we go back to where we started, at Platis Gialos Port.